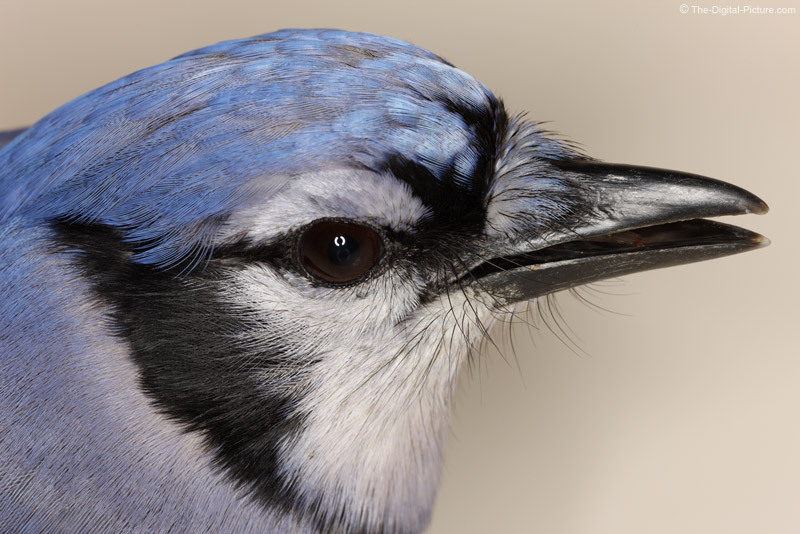 This Blue Jay had a navigational problem and spent a short amount of time recovering from an impact. The reflection in the jay's eye clearly gives away the lighting source for this shot - a ring flash. The Canon Macro Ring Lite MR-14EX Ring Flash to be specific. A lens-mounted macro flash makes it easy to chase your subjects with action-stopping lighting instantly ready.